If you’re ready to stop wasting time managing your sports team, club, league, or association and start getting back into the game, a Sports Team Management App may be for you. That’s because it automates many of the administrative tasks for a sports team, running them like a machine in the background while you focus on what’s important — your players and the game. What are Sports Team Management Apps? What is a Sports Team Management App? Sports team management apps, or sports management software, offer an “all-in-one” management dashboard designed to integrate the administrative and engagement tasks associated with running a sports team or league. Online registration and payments for players and families. An easy-to-update team website with an event calendar, and online resources (like rules, tips, etc.). Simple player communication through automated notifications, invoices, emails, and newsletters. A mobile app to let you manage and communicate with players on the go. Automating player retention techniques like setting up renewal reminders, and recurring dues. Identifying which of your players are unengaged, so you can reach out to these people with simple win-back techniques. 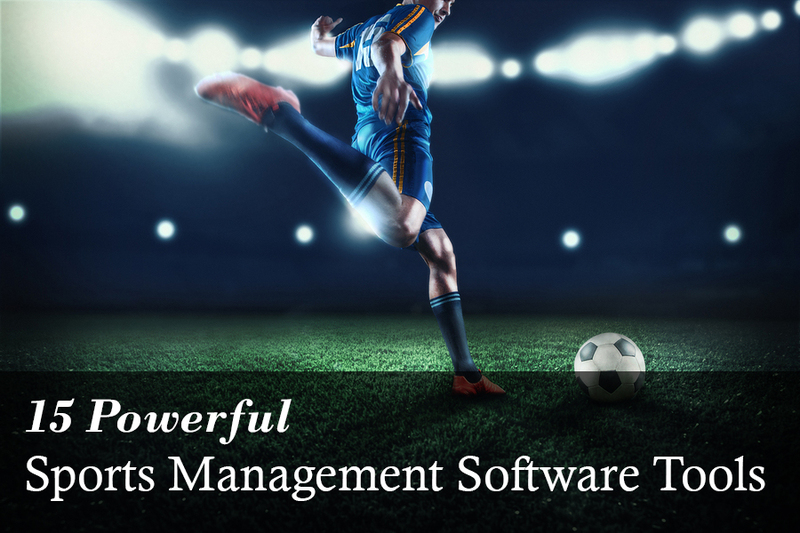 If all these things sound like they could help you run your sports team better, then sports management software is for you. To help you compare options, here’s a list of 15 sports team management software apps to consider. I’ve sorted the list alphabetically and listed highlights of each option’s major features and pricing, so you can easily find the solution that suit your needs. If you’re a sports association or sports club (like a coaches association, football association, sportsmen club, ski club, alumni sports club, or the like), often member management, engagement, and retention are more of a priority for your organization. If that’s the case for you, give Wild Apricot a try. Wild Apricot is the #1 rated membership management software used by over 100 sports associations across the United States. 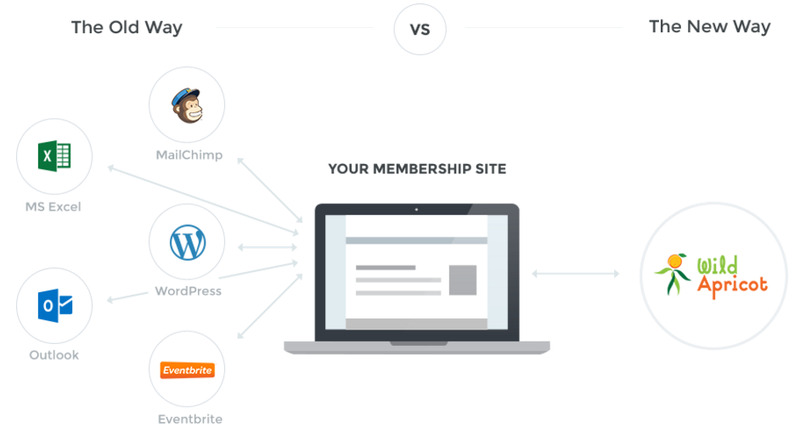 Features include online registration and payments with customizeable membership levels, a drag and drop website builder, a built-in emailing system, a member's-only area, and automated member payments and renewals. Sports Management Software for youth teams and leagues focuses more heavily on scheduling players, tournament management, and league standings. If you’re a sports association or club, you may have slightly different needs. If so, scroll to the end of this article. Active Network offers a comprehensive set of features for any sports club including online registration, league and association management, website solutions, and more. GoaLine allows you to host any type of sport on their platform: hockey, softball, baseball, volleyball, etc. Features include scheduled games, online registration, live score tracking, player communication, and more. Omnify is a simple sports club management software with an advanced scheduling and booking system. Features include staff management, business insights, and auto invoicing. Owlwise is a sports team management app for coaches, instructors, members, parents, and school admins. Features include instant messaging, the ability to share images and videos, calendars and organization tools, and online billing. PlayyOn is a free sports management software platform. Features include web and mobile responsive homepages, tournament management, customer retention management, and team events and scheduling. Power Up is a Canadian company offering an easy-to-use sports team management app. Features include online registration of players, families, volunteers, and teams, referee and game official management, scheduling, and a mass email tool to communicate with all your contacts. RhinoFit is sports club management software designed for sports clubs, gyms, studios, trainers, and schools. Features include simple billing, scheduling, digital e-Sign wavers, and inventory management. Sportlomo is a league and association management software. Features include league standings, schedules, notifications, match results, a customizable website, and more. SportsCRM is an online sports team management app featuring scheduling and tournament managers, as well as facilities management and an online store. SportsEngine offers a flexible registration system for your sports team. Features include online registration, a website builder, tournament management, and fundraising tools. Created by Sports Illustrated, Sports Illustrated Play’s focus is on a management platform for youth sports. Features include custom registration pages, team reminders, an online store, and a mobile app. SquadFusion’s mission is to improve communication between club members. With payments, rosters and scheduling all on one central website, this cloud-based team management app system makes staying connected easy for any squad. With TeamSnap you can build a full website for your sports team, which can handle online club or league registration and payment. They also have a mobile sports team management app to help you manage your team on the go. Teamstuff offers an easy platform to manage your team on the go. Features include one team email, calendar sync, family schedule pages, and resource sharing. TeamTracky offers a complete sports management platform on desktop, tablet, or mobile phone. Features include scheduling, email notifications, tracking lists, trainer activity reports, and more. Author omitted a major player in the space which is https://thapos.com which provides complete sports management platform.